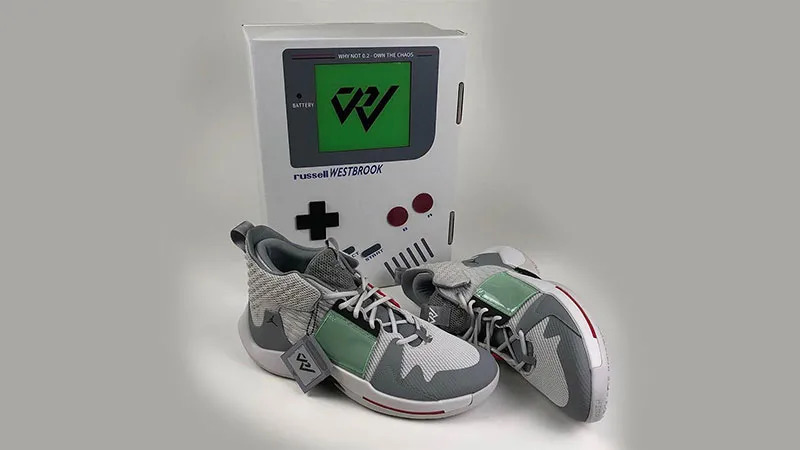 NBA star Russell Westbrook loves his Jordans, but he especially loves getting custom-themed versions. His last pair paid tribute to the Super Soaker, and his newest design takes inspiration from the Game Boy. The design, courtesy of custom designer Recon Beat Lab, takes a pair of Not Zer0.2s and makes them look good enough to play!